What does FASD look like in Australia today? International Fetal Alcohol Spectrum Disorders (FASD) Awareness Day is observed every year on 9 September at 9:09am, in recognition of the nine months of a pregnancy. The day aims to raise awareness about the risks associated with drinking alcohol during pregnancy and the experiences of individuals and families who are living with FASD. 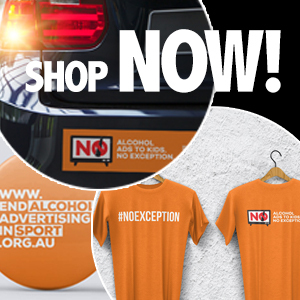 Drink Tank spoke to NOFASD Australia Executive Officer Louise Gray. NOFASD Australia Founders Sue and Tony Miers were foster parents who embarked on a personal quest to help their daughter Kate, who exhibited keen intelligence but also had learning disabilities and significant behavioural issues. They were looking for answers to help understand Kate, but struggled to find further information and appropriate support services in Australia. The Miers family sourced an international diagnosis, which led to a better understanding of their daughter’s behaviours. Sue and Tony’s ongoing work has ensured that Kate is included in community life and has access to the services and supports she needs. Without recognition, diagnosis, appropriate support, and ongoing advocacy, Kate’s life outcomes may have been very different. Kate’s life may have mirrored that of Rose Ann Fulton, who has spent around 90 per cent of her adult life in prison or on conditional release, while unsuccessful interventions implemented without adequate knowledge or understanding of FASD have sought to assist her. The positive affect on Kate’s life has been the inspiration for the national organisation NOFASD Australia has evolved into today. The organisation was founded in 1997 in response to growing awareness among a small group of people that alcohol and its harmful impact on pregnancy was virtually unknown in Australia, despite being identified in 1973 by research published in the British Medical Journal. NOFASD Australia is now the peak organisation representing the interests of individuals and families living with, and caring for, children and adults with Fetal Alcohol Spectrum Disorders (FASD). Significant progress has been made in the last decade, although there remain significant gaps in the prevention, diagnosis, and management of FASD across Australia. FASD are the most common preventable cause of non-genetic, developmental disability in Australia. FASD is often misrepresented as an Indigenous issue, but it can be found wherever pregnancies are exposed to alcohol. Many individuals are undiagnosed and untreated. There are currently very limited opportunities for a child to be assessed for FASD, with only three operational diagnostic models in Australia, located in Western Australia, Queensland, and New South Wales. The Commonwealth Government recently released an Australian FASD Diagnostic Instrument to support clinicians to diagnose and manage FASD, although the existence of only three clinics limits its implementation. Between 11 and 24 per cent of affected children are likely to be in Out of Home Care. These children are at risk of never being formally diagnosed and their anti-social behaviours are likely to be explained as defiant or oppositional. As many as 23 per cent of young people with FASD may be incarcerated, while 60 per cent will have contact with the justice system. Everyone with FASD potentially has difficulty with memory, academic skills, planning, language use, comprehension, abstract thinking, and impulsive behaviour. Affected individuals are often easily led by peers, lack understanding of cause and effect and cannot foresee the consequences of actions. These examples are very common observations from people who encounter a person affected by FASD, someone who demonstrates behaviours they cannot explain. FASD is a lifelong outcome and there is no cure. But we know that early intervention, diagnosis, and appropriate support based on knowledge and understanding can improve quality of life for those living with FASD and their families. NOFASD Australia is working towards ensuring FASD is recognised as a disability in Australia, and promoting social inclusion by advancing the rights and interests of people living with FASD. This advocacy work is fundamentally important in preventing the social, health, economic and justice consequences of this condition for all Australians. NOFASD Australia also provides advice and the necessary supports to individuals and families at a grassroots level. This includes delivering education and training workshops to parent and carer groups, both government and non-government service providers, and school communities throughout Australia. Our vision is the prevention of alcohol exposed pregnancies in Australia and an improved quality of life for those living with FASD. Australian and global initiatives – such as FARE’s Pregnant Pause campaign and International FASD Awareness Day held around the globe on the ninth day of the ninth month – are fantastic efforts that all contribute to increased awareness to reduce and prevent alcohol exposed pregnancies. For further information or to get in touch, visit www.nofasd.org.au, call 1300 306 238, or email enquiries@nofasd.org.au. You can also connect with us on social media by following @NOFASDAustralia on Twitter, or liking NOFASDAustralia on Facebook. 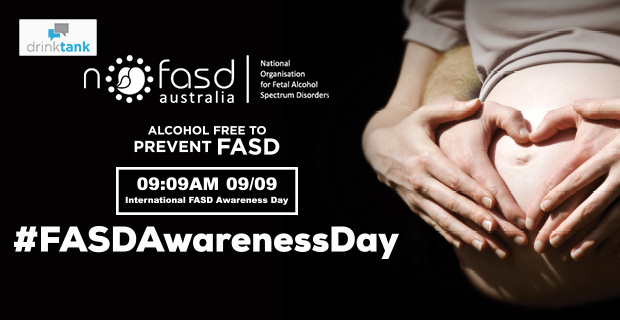 NOFASD Australia are asking you to help us raise awareness of FASD and to show your support by pledging not to consume alcoholic beverages on Friday 9 September and by using the hashtag #FASDAwarenessDay. NOFASD Australia will be holding a free webinar on International FASD Awareness Day to assist parents and carers of children with FASD. The session will cover common challenges faced, provide strategies for supporting a child with FASD, and advice on where to go for more assistance and information.